Vera Roofing & Construction is a premier residential roofing company that has provided home roofing solutions since 2010. 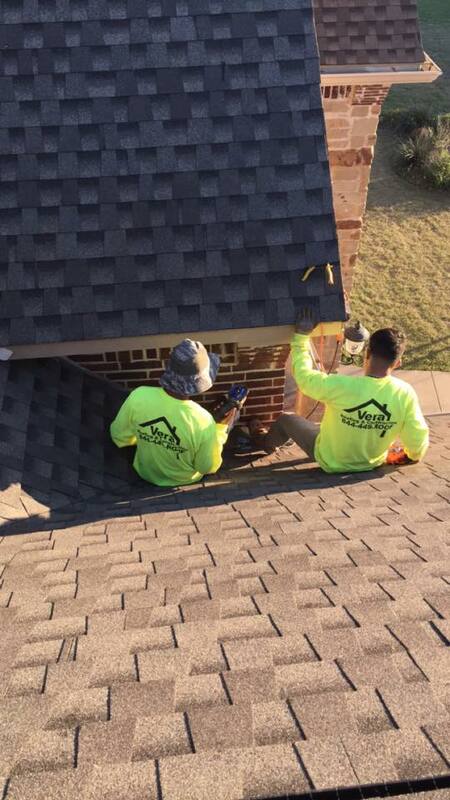 Whether you are wanting to put on a new roof, to re-roof your existing home, or to look into repairs and inspections, we are your go-to roofing experts in the DFW & Lubbock areas! Our years of experience and expertise qualify us to tackle any project that comes our way with superior craftsmanship. We recognize that the world of roofing is ever changing, with new techniques and materials consistently surfacing, and we take pride in staying educated and remaining innovative in our approach to our craft. That means that you will have questions, and we will have answers. You will have high expectations, and we will rise to the occasion and surpass those expectations with a care for our customers that sets us apart from the others in our field. At Vera Roofing & Construction, we recognize that your home is one of your biggest investments, and we intend to help you protect that investment by handling your roofing needs in a professional manner. We offer a large variety of roofing solutions and feel confident that we have something for everyone. Regardless of the size or structural design of your home, our roofing solutions provide answers for whatever visual and functional needs you may have in mind. Whether you are looking at a darker color shingle or lighter color, traditional roofing material or something more cutting edge, we will work with you to select the best solution for your home. We work with metal, slate, and tile roofs, as well as TPO and flat roof systems. We come alongside each of our customers to install the best solution for your home while also adding a certain beauty and charm. Have you ever stopped to look around your neighborhood and take notice of the many different styles and types of roofs? We often size up someone’s home as a whole without stopping to take notice of the separate features, but, if you start taking a closer look, you’ll see that a roof is a very significant part of the overall visual statement. This is why Vera Roofing & Construction takes such great care with our work. We know that your property is such a valuable part of who you are and what you offer to your family and guests. That is why we bring our talents and roofing expertise to each and every client and project that we take on. We add to that value rather than taking away from it by benefitting you on both a short-term and long-term basis. Our investment in your home will allow you to enjoy the way that your new roof looks while resting in the knowledge that its future sale price has now been secured with a vital and lovely new addition to your home. Contact us today to learn more about how to become our newest residential roofing client!